To succeed in our objectives, we adapt available methodologies for developing software components of open textbooks. 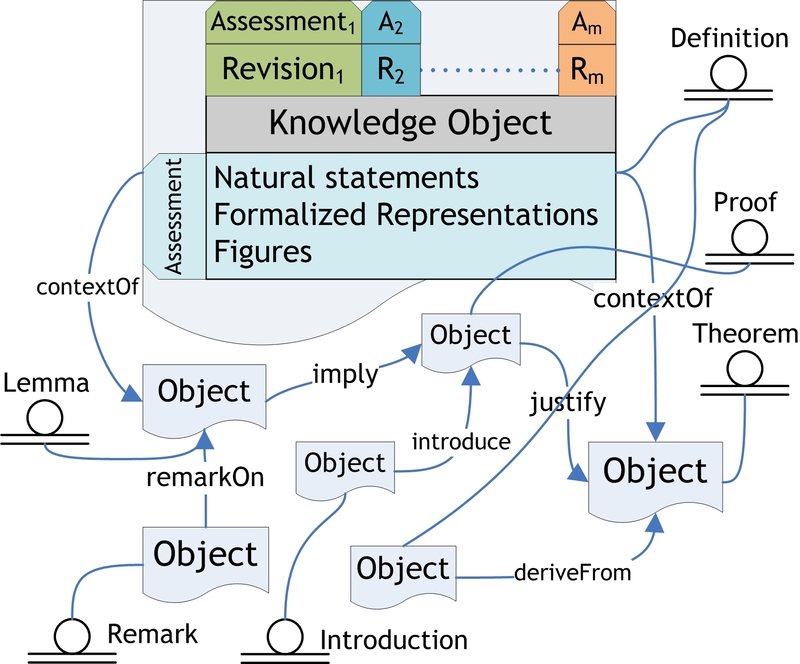 We encapsulate interrelated knowledge data into knowledge objects and structure knowledge objects into knowledge graphs to realize a versioned structural knowledge base for managing multiversion geometric knowledge contents. Geometry Description Language (GDL) has been designed to formalize geometric concepts, instances, configurations, definitions, propositions, and problems. We have developed interfaces between GDL with a geometric theorem prover (GEOTHER) for automatically proving theorems and dyanmic geometry system (GeoGebra and GeoDraw) for drawing dynamic diagrams. The interfaces have been used in an intelligent dynamic geometry textbook -- GeoText. We have implemented a textbook structure soundness checker through extracting dependency graphs on knowledge objects from the knowledge database. This functionality can be demonstrated in GeoText. Assessments of content revisions will be performed at three levels. 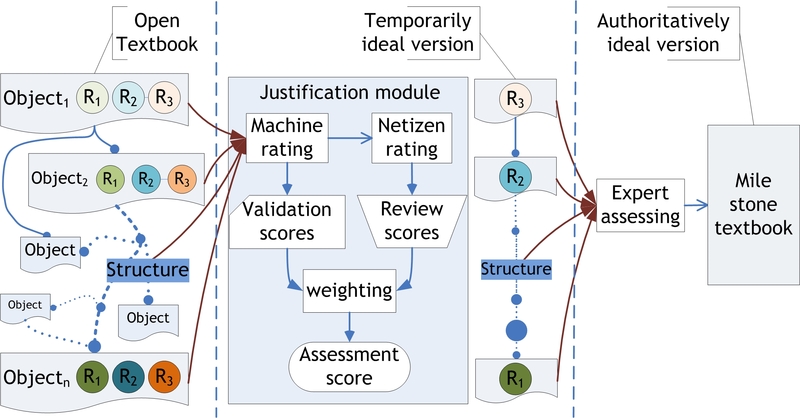 Level 1: Machine rating based on content spelling and grammar and validation of formalized contents. Level 2: Netizen rating based on content correctness and logicality, structure and narration, completeness, and reliability of the author. Level 3: Experts are invited to help review, revise, and improve the textbook to produce milestone versions, accepted as authoritatively ideal versions, taking the results of assessments from the first two levels into account.